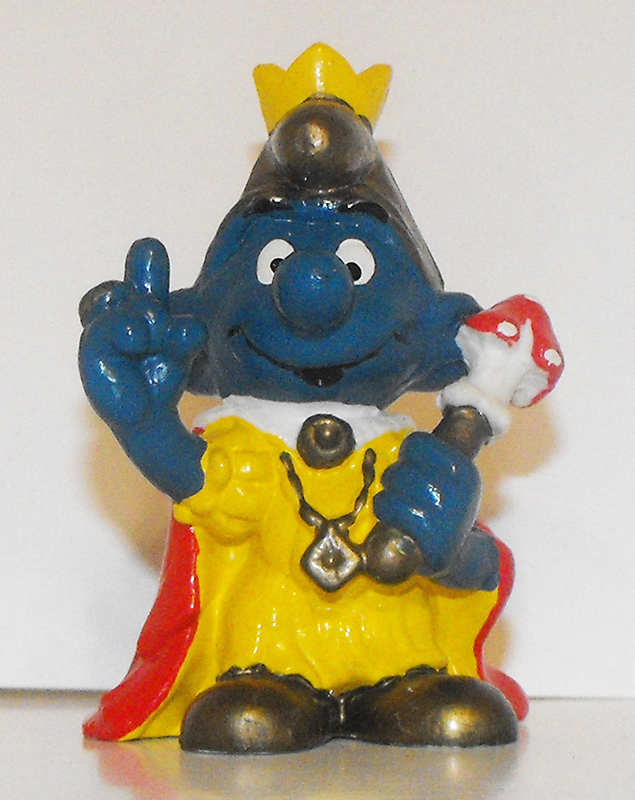 20046 Emperor Smurf with gold hat vintage plastic figurine, 2 inches tall. Used, good condition with paint rubs. This figurine comes loose without any packaging or tag.